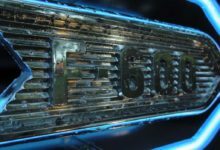 F600 Mercury Rockets | Sanford Neon! 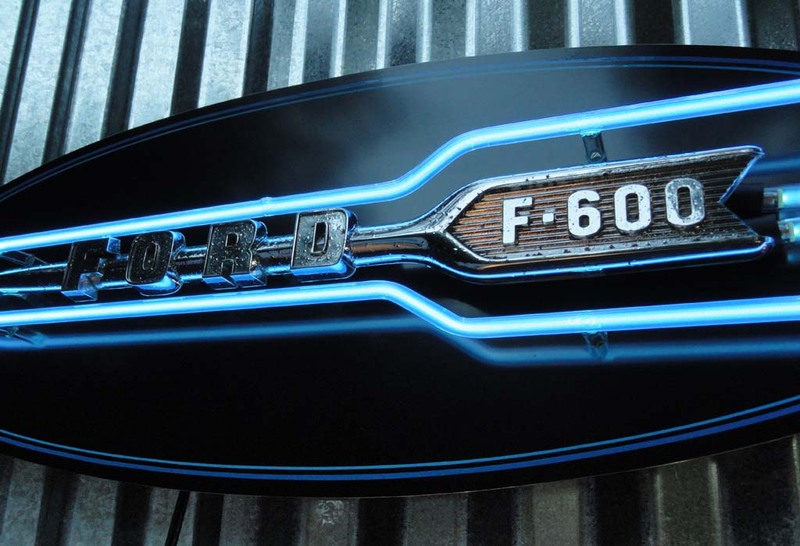 The Space Age was maturing rapidly in the late 1950’s when Ford created the F series truck of 1960. 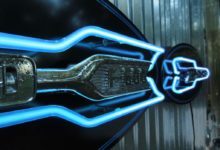 As the Space Race thrust forward, incredible advances in technology energized a great national pride that swept the USA. 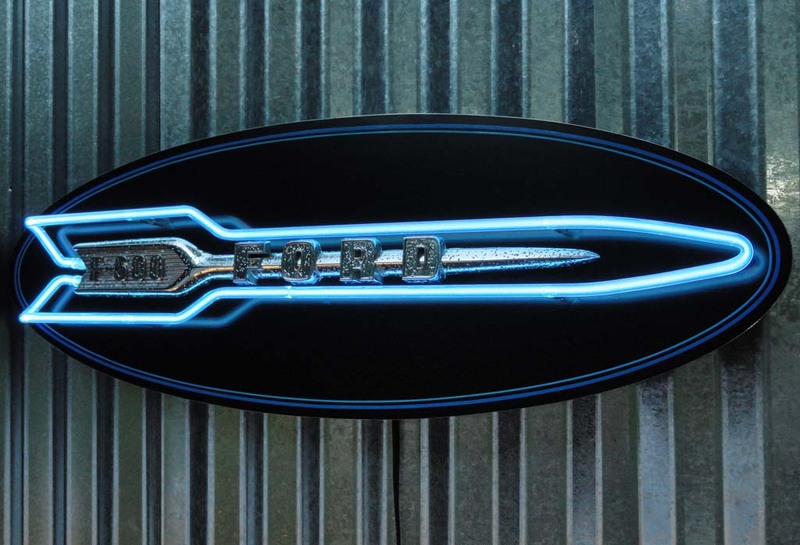 Designers and engineers boosted this fascination applying form, function, and ideals into much of society. 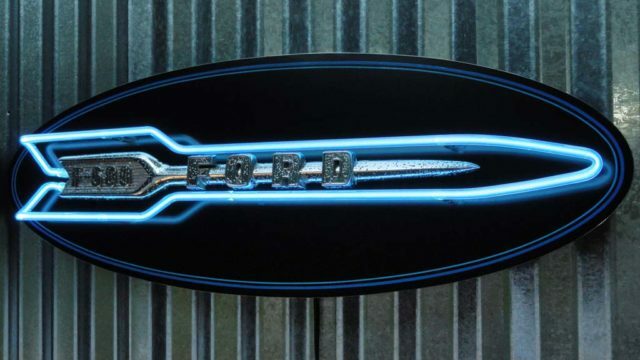 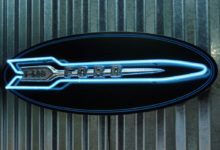 Ford designers embraced the futuristic dreams and accomplishments of the times, emblazoning Ford trucks with symbols of Rocket acceleration, exploration, & valor. 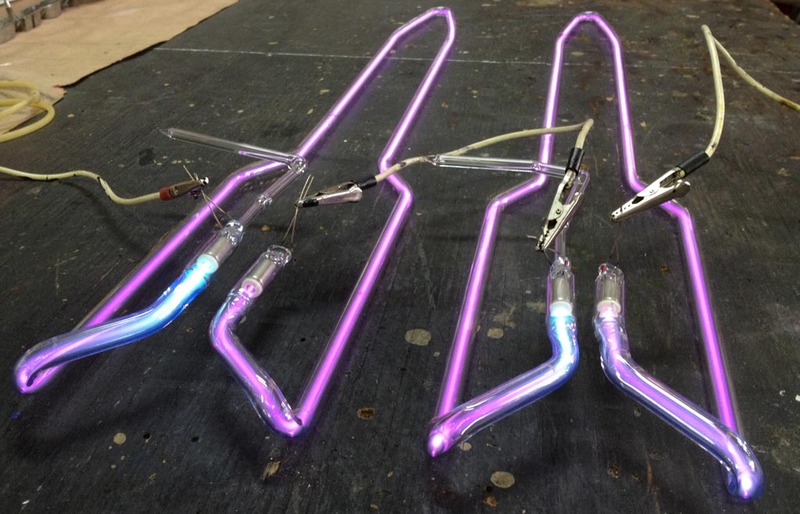 Sanford built F600 Mercury Rocket neon sculptures in the summer of 2013. 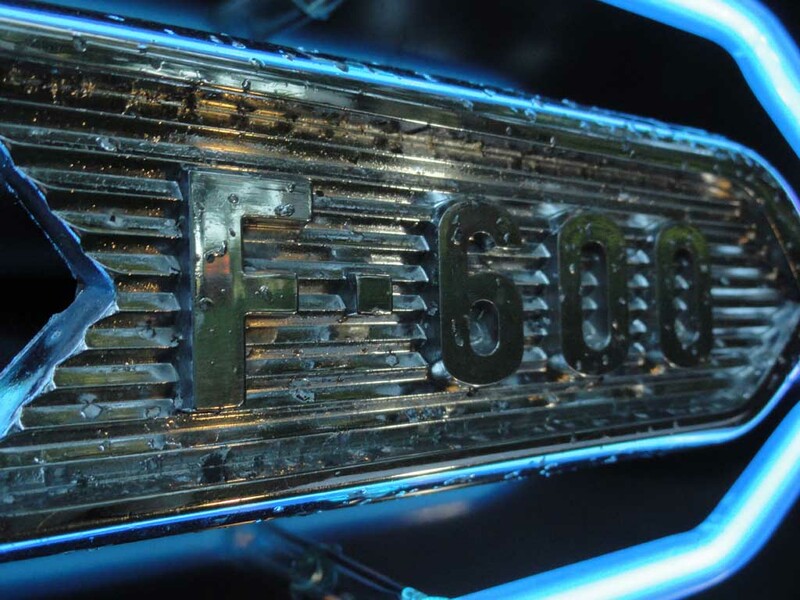 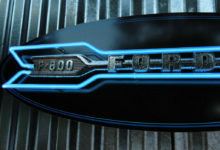 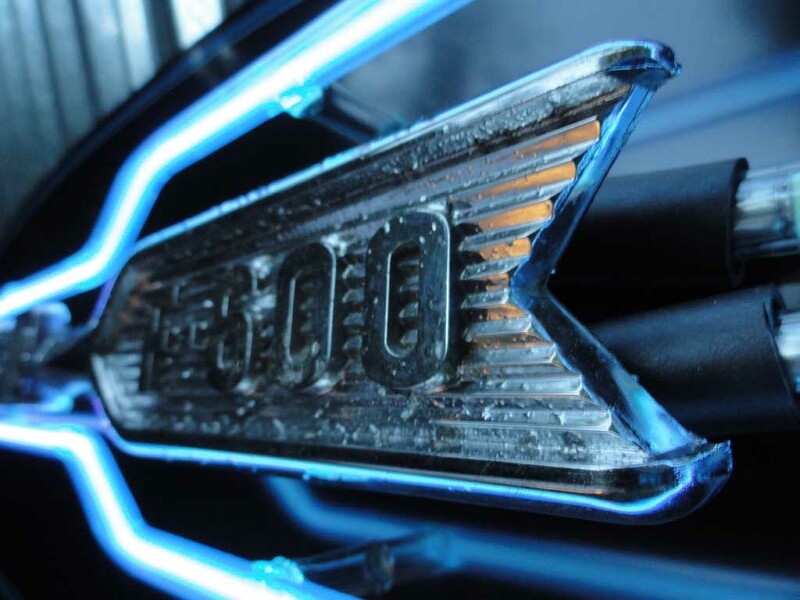 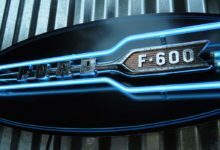 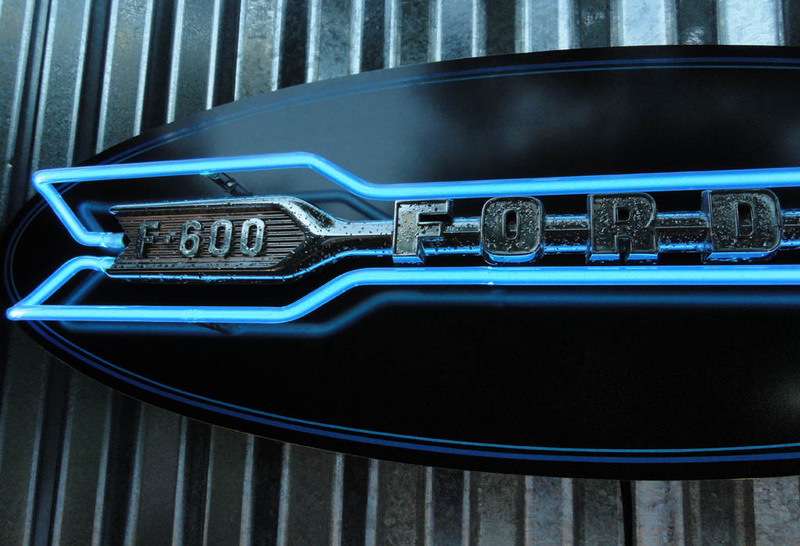 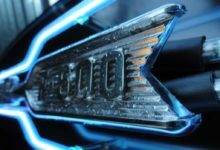 A pair of 1960 Ford F600 Hood emblems are mounted to aluminum ovals. 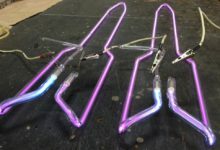 Mercury vapor neon tubes reflect from streamlined curves and functional facets. 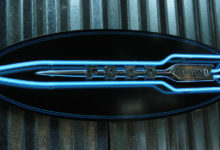 neon, argon, and mercury with 3000 volts. 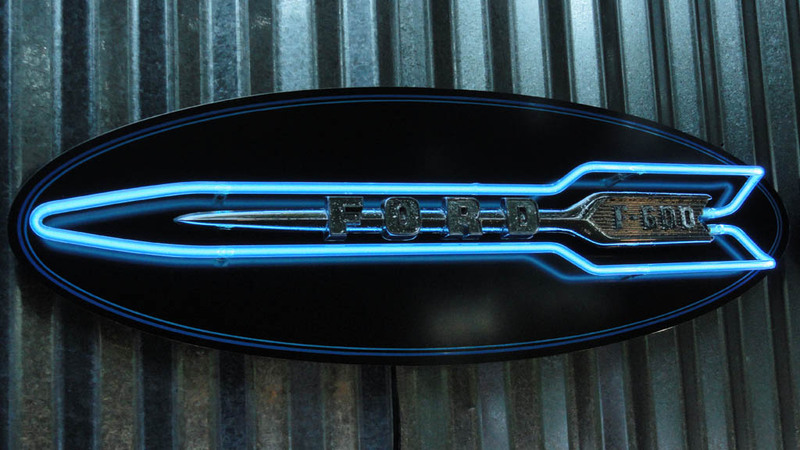 The amazing Mark Peters hand brushed the orbiting two tone blue pin stripes. 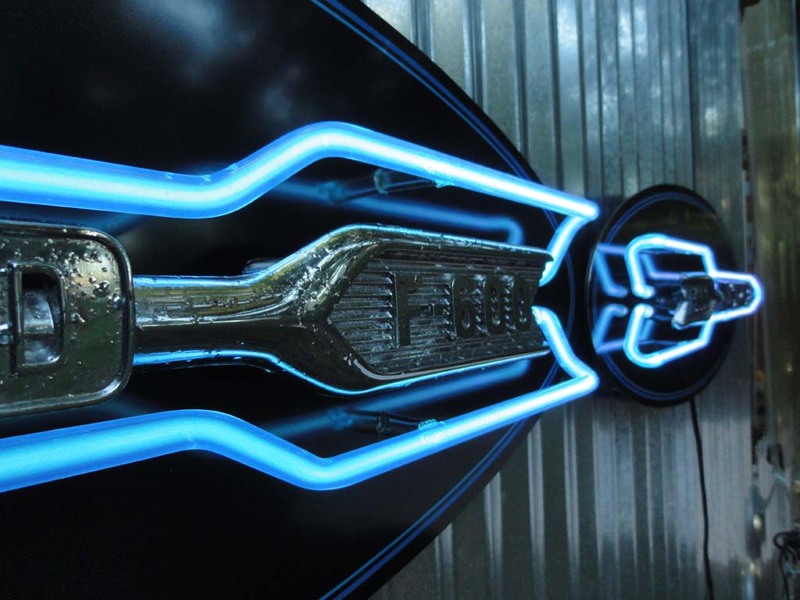 F600 Mercury Rocket sculptures measure 32″ x 11″ x 3″.